» Considering In-Home Childcare Options? Is In Home Childcare the right option for me? Choosing childcare in Plano is one of the most stressful and even contentious issues for parents these days. It is getting hard to decide which service is best for the kids and the parents. And with so many choices available, lots of parents feel very confused as they consider their options. We have options for you and also things you should consider and questions to ask! All parents simply want the best for their children, most especially when it comes to childcare. There are different types of childcare available these days; however, in this article, we will discuss mainly in-home childcare or home daycare, which is also known as family daycare. It offers childcare service in a home instead of in a place of business. For a longtime parents used some of their friends and neighbors help them take care of their kids. These days, in-home childcare is an option for working parents to have someone take care of their kids while they are away. 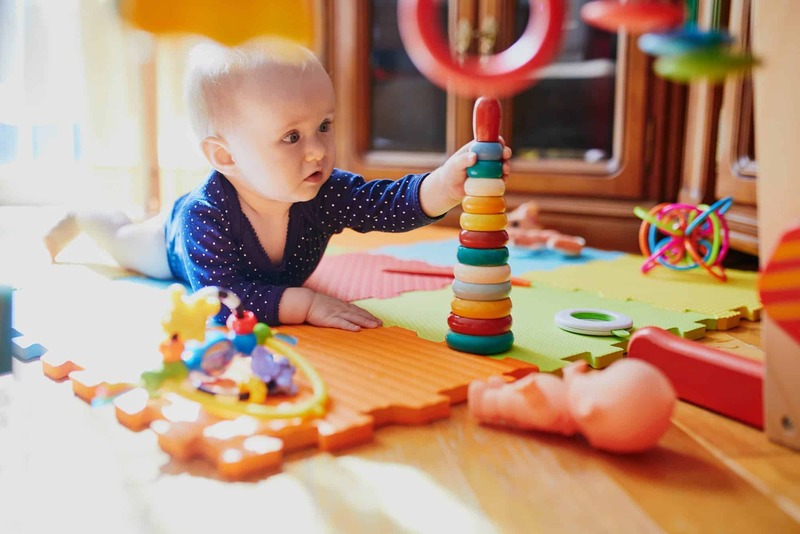 If you are looking for Infant Care, it typically provides a nurturing environment, supervision, and education for children even as young as three months for parents to go back to work and many Moms ask where they can find Infant Daycare near me. The hours of service may vary but typical hours are about 12 hours a day, five days a week for the whole year round. And, most of the in-home childcare providers also provide the service on weekends. Investigating complaints alleging violations of minimum standards in child care and residential child care operations. Giving child-care providers technical assistance on meeting licensing minimum standards, rules, and laws. Also, please take note that some in-home childcare providers have received formal training and are licensed, but many are not. You might find a Stay at Home Mom who wants to provide care but do ensure they are licensed as a recommendation. Some will provide part time options as well as full time. To those of you who are considering going this route, here are some of the essential questions you can ask during your interview or visit to an in-home childcare provider to help you manage your expectations. Are you licensed? Are you certified in cpr and first aid, CPR/ AED? Do you have any experience in taking care of infants, toddlers or kids? How flexible are you with drop off and pick up? Any additional fees for late pickup? Is there someone who is a back-up in case you get sick, or you go on vacation? Do we have to pay when the kid is ill or on vacation? What is your sick -child policy? Do you offer any educational materials for the kids? What activities you have for the kids? Please get a few samples. What type of food do you offer to the kids? Do you provide supplies? Like diapers, wipes, etc. Where do kids rest or sleep? Do you drive the children to the park or playground? If yes, please ask to see the vehicle and the car seats. Can I visit my child unannounced or can I observe my child? What are your security and emergency policies? Do you practice fire drills? How would you handle an emergency situation like earthquake, tornado, etc.? May I ask for any references? In-home childcare most often appeals to parents who are looking for a place that has a warm, caring, loving and homelike environment. They prefer to deal with one or two caregivers only and honestly believe that it is healthier and better for the kids to be within a small group.Here are some of the few reasons why people choose this type of care. In-home childcare is way cheaper compared to other kinds of childcare available out there. For example, Pink & Blue, in-home childcare cased in Frisco, TX which has been in the business for over two years, charges $240 for full-time, Monday to Friday 6:30 am to 5:30 pm including breakfast, lunch and afternoon snack or dinner if staying late. And for ad-hoc "drop-ins,” they charge $55 per day. Some parents believe that the home setting is better for the kids than a typical childcare center. Kids feel more at home because the care is simply a home away from home. There are fewer kids, in which the childcare provider can pay more attention to each kid. Here in Texas, supervision is limited to seven to 12 children ages 13 or younger (no more than 12 children can be in care at any time, including children related to the caregiver). If you are considering in-home childcare, then keep in mind to ask how many kids during any given day and whether that number may change based on circumstances. Pink & Blue, has a maximum of 12 kids with three other people to help and assist. That is just amazing! It is the same person who takes care of the kid throughout the year and onward. Most in-home childcare providers take care of babies from infant until they go to kindergarten. So, this builds a deeper bond between the kid and the childcare provider. The mixture of ages in the group allows the kids to interact with other kids like a sibling relationship. Younger kids will learn from the older ones. Most in-home childcare offers extended or flexible hours on any given day. This is a huge advantage for parents who may have a varying work schedule. No Strict Licensing Rules. In-home caregivers may be needed to be licensed and registered, but there are a lot out there that are not compliant. No Educational Structure. Most in-home childcare providers don't offer any education to the kids. And some of the childcare providers may have little more than a high school diploma. Small Group. This can be an advantage, but a disadvantage if the group is small and there are few children to interact and play with. Less Dependable. The in-home childcare provider may have no back-up caregiver or assistance and potentially can stop the service at any given time with no or little notice if some event arises (for example sickness). Unsafe Products. Some products like toys may not be safe and clean. The areas for younger and older children may not be separated and securely fenced. Lack of Background Checks. Some of the in-home childcare providers have no background checks or criminal screening. Whatever type of childcare service you decide on for your family, it will be what you think is best for your little ones. And, you have to keep in mind that you are still your child's primary caregiver. You provide the love, care, and support throughout their lives. We know you'll always choose the right option for your family. You can also consider the Top Preschools in Plano or Mothers Day Out locally near Plano, TX too. If you are looking for a Babysitter, we love Bambino App!